Shao Fengmin is a Doctor of Medicine, a chief physician, a national second level professor, a doctoral supervisor, an expert enjoying special allowance of the State Council, the winner of "May lstLabor Medal" of Henan Province, the provincial leader in academic technology and the leading talent in health science and technology of Henan Province. He graduated from Chinese PLA General Hospital (Hospital 301) as a PhD and his teacher was academician Chen Xiangmei. Now Shao is secretary of the party committee and vice president of Henan Provincial People's Hospital and president of Henan Provincial Cardiovascular Hospital. Shao is also the member of the Standing Committee of Chinese Nephrologist Association, the member of the Standing Committee of Chinese Association of Integrative Association Kidney Disease Specialized Committee, the member of the Standing Committee of Chinese Society of Blood Purification Treatment and Engineering Technology, Chinese International Exchange and Promotion Association for Medical and Health Care, the national committee member of Chinese Society of Nephrology, CMA, a national nephrology professional medical quality management and control expert, the member of the Blood Purification Group, Chinese Society of Nephrology, CMA, the committee member of the Elderly Kidney Disease Group, Chinese Society of Geriatrics, CMA, the member of the Lupus Special Fund Expert Committee of China Health Promotion Foundation, the member of CSTAR, the member of Kidney Disease Medical Identification Expert Library, CMA, the member of Expert Library of Rheumatology Medical Identification, CMA, the member of a council of Chinese Research Hospital Association, chairman of Henan Society of Nephrology, Henan Medical Association, director of Henan Kidney Disease Quality Control Center, head of Henan Province Institute of Kidney Disease, director of Key Laboratory of Kidney Immunology, Henan Province, vice chairman of Henan Society of Blood Purification, Henan Medical Association, the managing director of Henan Medical Association, vice president of Henan Province Institute of Medical Science Popularization, vice president of Henan Provincial Hospital Association, vice president of Henan Province Administration Institute, vice chairman of Henan Society of Medical Science Research Management and the member of the council of Red Cross Society of China Henan Branch. 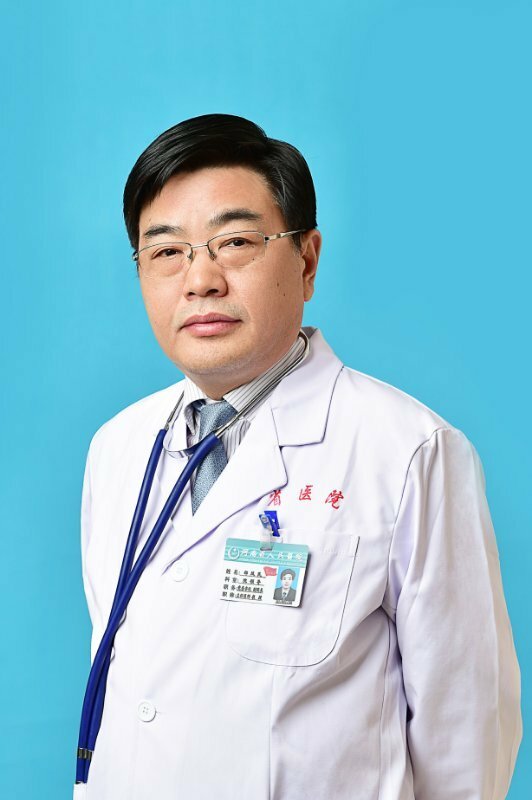 He is the associate editor of Journal of Practical Diagnosis and Therapy and the editorial board member of Chinese Journal of Nephrology, Chinese Journal of Rheumatology, Chinese Journal of Nephrology, Dialysis & Transplantation, Chinese Journal of Immunology, Chinese Journal of Kidney Disease Investigation, Chinese Journal of Practical Medicine, Nephrology Channel of MedRef and Chinese Journal of lupus. Professor Shao Fengmin has devoted himself to clinical and basic research of kidney disease and rheumatism. His 5 kinds of technology items have filled the technical gaps in Henan Province and his 7 kinds of technology items have filled the technical gaps in this hospital. He has participated in and presided over 30 national, provincial and department scientific research projects, such as national natural science foundation projects, national science and technology support program projects in "the 13th Five-year Plan" period, national science and technology support program projects in "the 12th Five-year Plan" period, national science and technology support program projects in "the 11th Five-year Plan" period, national "973 Program" topics and national "863 Program" projects and so on. He has published over 130 papers, has won over 10 provincial and departmental science and technology achievements and has been the editor or participated in the editing of 8 monographs.